Dr. Mercy Mumba, assistant professor in UA’s Capstone College of Nursing, was recently honored with the Southern Nursing Research Society’s Early Science Investigator Award, given annually to a nurse scientist who shows potential to develop a sustained program of research to enhance nursing science and practice. Mumba is the sixth recipient of the award that recognizes the contributions of a nurse scientist who is less than five years into a professional career following the completion of a doctoral degree. 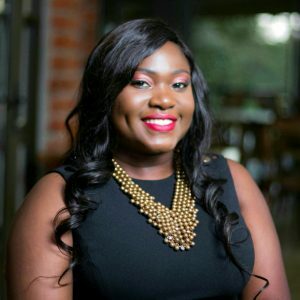 Mumba earned her Honors Bachelor of Science in Nursing and doctorate in nursing from the University of Texas at Arlington College of Nursing and Health Innovation. At age 29, she became the youngest PhD graduate in the college’s history. Currently, Mumba has six funded grants and most of those concentrate on prevention and treatment of substance use disorders and their co-morbid psychiatric mental health conditions. She is also researching ways to expand the role of nurses in addiction care. The SNRS award is not the first to recognize Mumba for her work in the early stages of her career. Nurses.com honored Mumba with a Rising Star Award as part of its Giving Excellence Meaning awards. She is a published author and has presented her research at many local, regional and international conferences. “Receiving this award not only is a testament of the wonderful career I have had as an early career scientist, but also an endorsement of the potential of a successful research career that lies ahead,” said Mumba.